Junior shortstop Logan Davidson and junior righthander Carson Spiers were voted team co-captains, announced by head coach Monte Lee. “Logan and Carson were voted co-captains because of their leadership qualities and respect they’ve earned from their teammates,” said Lee. “Logan shows up every day with a consistent mindset and attitude that sets a great example. I believe he’s the best shortstop in the nation for what he brings to the shortstop position, at the plate and in the dugout. Davidson is a career .289 hitter with 27 doubles, 27 homers, 87 RBIs, 116 runs and 20 steals in starting every game of his two-year career at shortstop. The Charlotte, N.C., native and switch-hitter is a preseason first-team All-American. Spiers became one of the team’s best relievers in 2018, when the Greenville, S.C., native was 2-2 with four saves, a 2.08 ERA, .149 opponents’ batting average and 39 strikeouts in 43.1 innings pitched over a team-high 29 relief appearances. Sophomore catcher Drew Donathan, freshman righthander Carter Raffield and sophomore righty Spencer Strider will all miss the 2019 season due to injury. Donathan suffered a leg injury, while Raffield and Strider both suffered arm injuries. All three plan to redshirt, rehabilitate and return to the field with the Tigers in the 2020 season. Five of the six major polls have been released to date, and the Tigers are ranked in the top 25 of all five preseason polls. Clemson has been ranked in the top 25 by at least one poll for 46 straight weeks (including the 2019 preseason polls) dating to 2016. 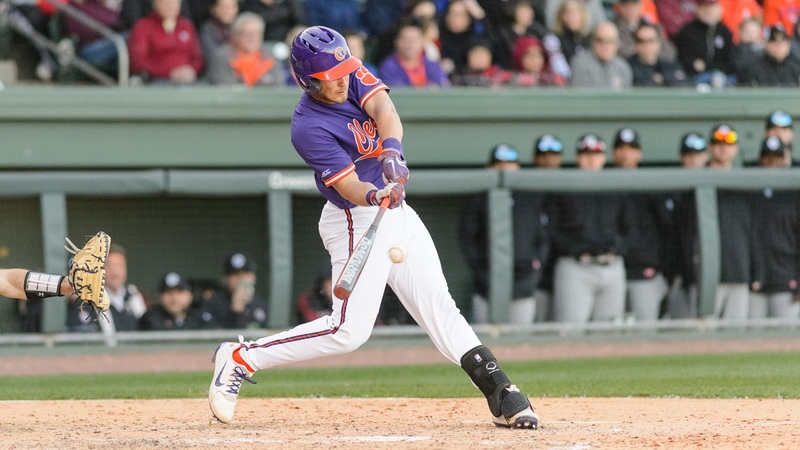 As previously announced, Clemson hosts Fan Fest at Doug Kingsmore Stadium on Saturday, Feb. 9. The full day of free activities starts at 1:30 p.m., when gates open for an intrasquad scrimmage that starts at 2 p.m.